Biochemistry is the study of chemical processes within and relating to living organisms. Chemical engineering, broadly speaking, is the engineering used to transform raw materials into a finished product using a repeatable process that provides a predictable financial outcome. Everything a person can hear, see, smell, taste, and touch involves chemistry and chemicals. Electrical engineering is related to the technologies of electronics, electricity, and magnetism. Horticulture is a specific branch of agricultural sciences that deals with the development and implementation of best practices when it comes to growing plants. Industrial design is the professional service of creating and developing concepts and specifications that make products and services more aesthetically pleasing, more compelling to use, and more relevant to customers. Materials science and engineering concerns the study and application of various materials, including but not limited to metals, ceramics, composites, polymers, glass, carbon, refractories, nanomaterials, semiconductors, thin films, biomaterials and functionally graded materials. Of all technical disciplines, mechanical engineering is perhaps the one in which Price Heneveld has the most knowledge. Companies in the pharmaceutical and healthcare industries have a wide range of challenges, including adherence to ever-changing government regulations, trade challenges, and intellectual property disputes including trademark, trade dress, trade secret, and patent disputes, among others. 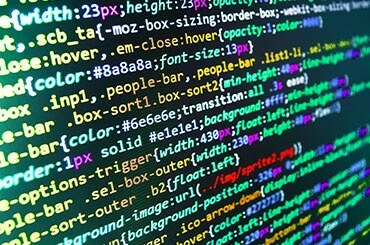 Software engineering relates to the integration of various principles and methods utilized to implement operations in computerized systems.